ANOTHER KEEPER!!! 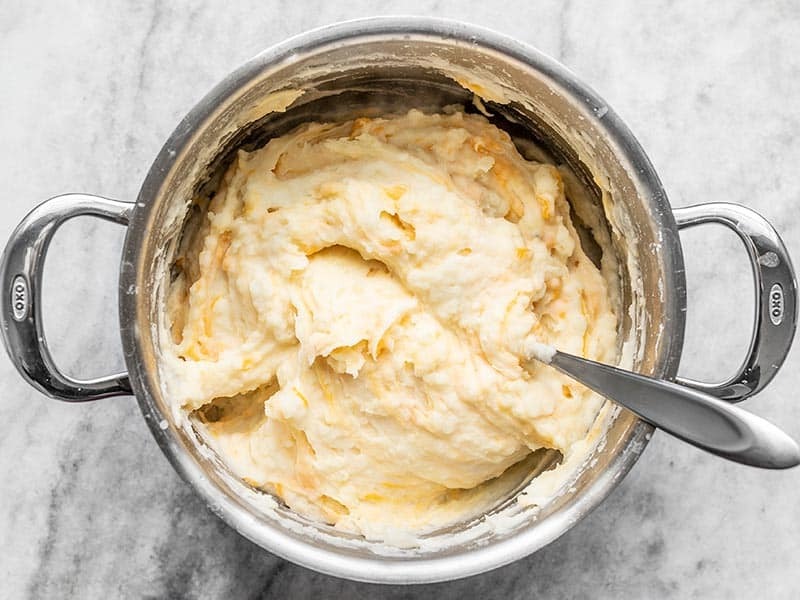 We made this last week and everyone LOVED it – leftovers in the fridge were GONE in a flash. 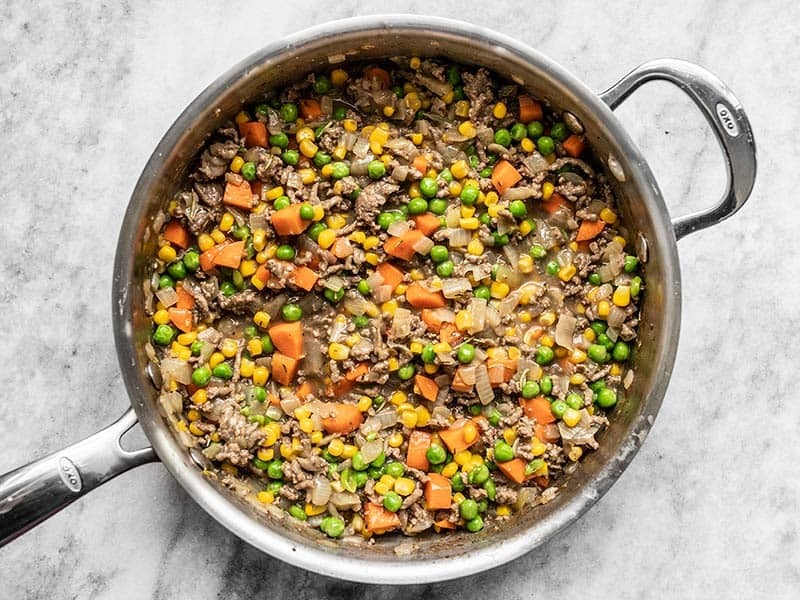 Love the fact that it only required 1/2 lb ground beef – I was able to splurge on grass-fed beef and still have half a package left in the freezer for next time I make this (which will be SOON!!!) 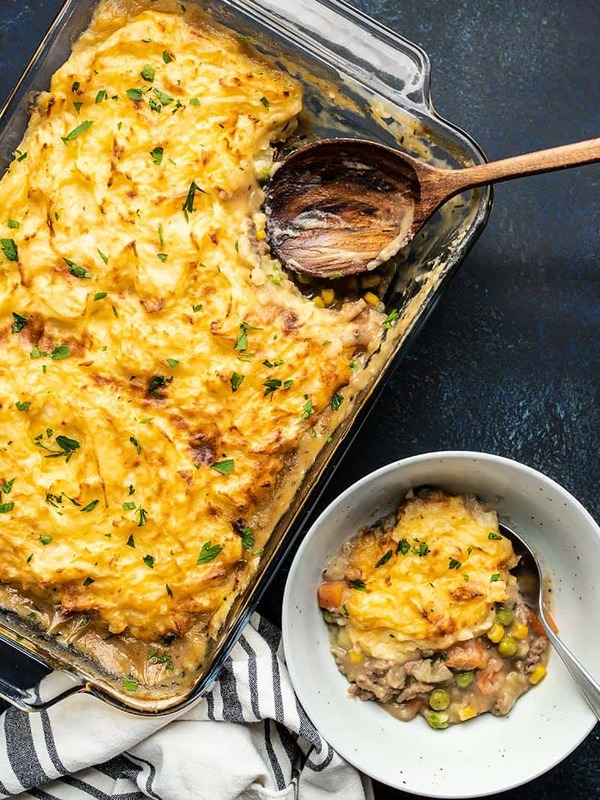 Traditional shepard’s pie always calls for a lot more meat – but we didn’t miss the additional meat at all in this recipe. It was delicious. 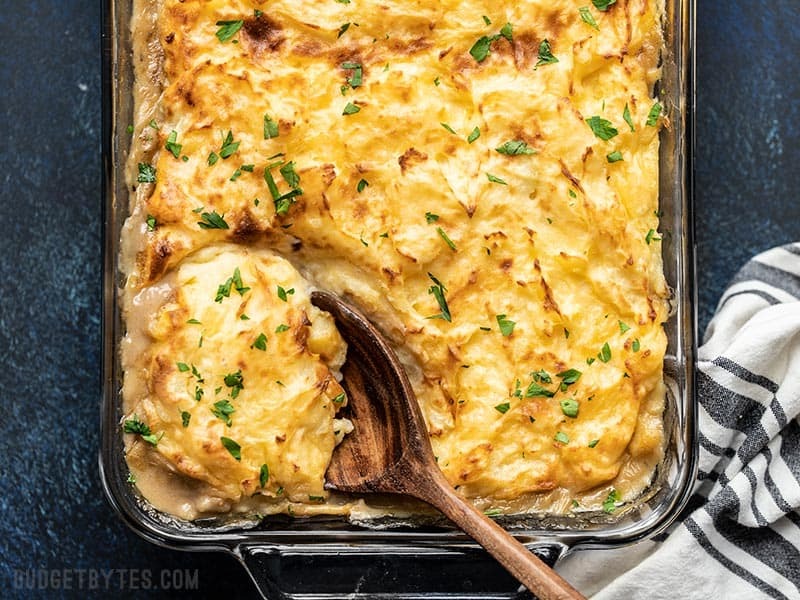 I was so bummed when I went to make your original shepherd’s pie recipe this winter and discovered it had been removed. Thank you for bringing a new and improved version back! I have some ground thyme, would that work? I’m sure the measurement would be different, right? You’ll probably need slightly less because when it’s ground it’s a little more concentrated. It looks wonderful and I look forward to trying it! We have enjoyed so many of your recipes. Just a note: it looks like the cup of beef broth has been omitted from the ingredient list. This looks so good, but I really do not like rosemary. Could I omit and double up the thyme? Would a little tarragon work? Yes, you can leave the rosemary out. I can’t imagine tarragon in there, though, so I’m not sure if that would be a good fit. You can increase the thyme a little, or just leave the rosemary out. 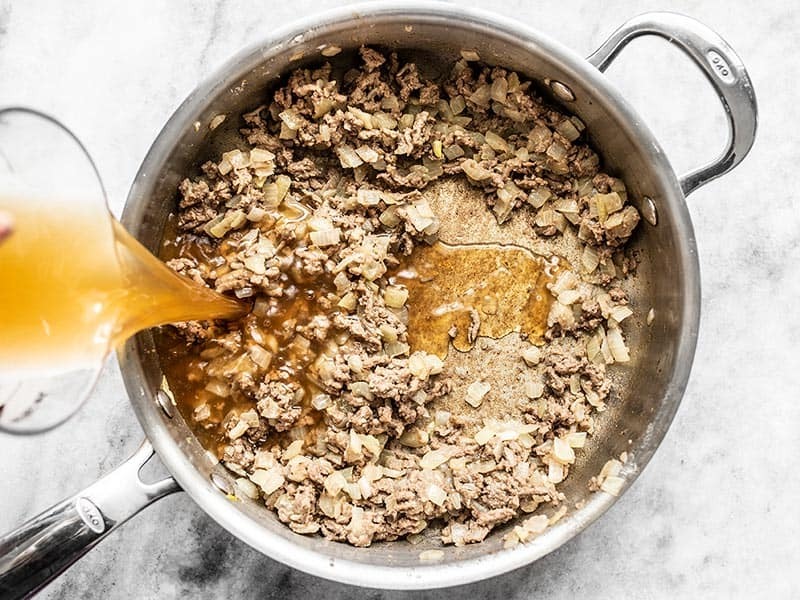 As long as you’re using a flavorful broth it will still be delish. Yes, you definitely can. :) Just make sure to drain them well and you’ll want about 3 cups of vegetables total (after draining). You may also need to use less salt, since the canned vegetables will be providing some. 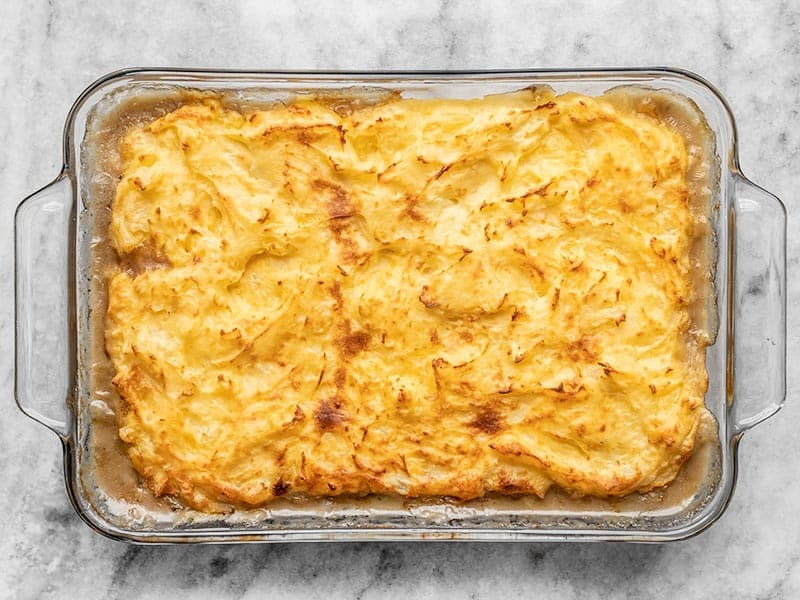 I use this (I know it as shepherds pie) as a sweep the kitchen type of meal. 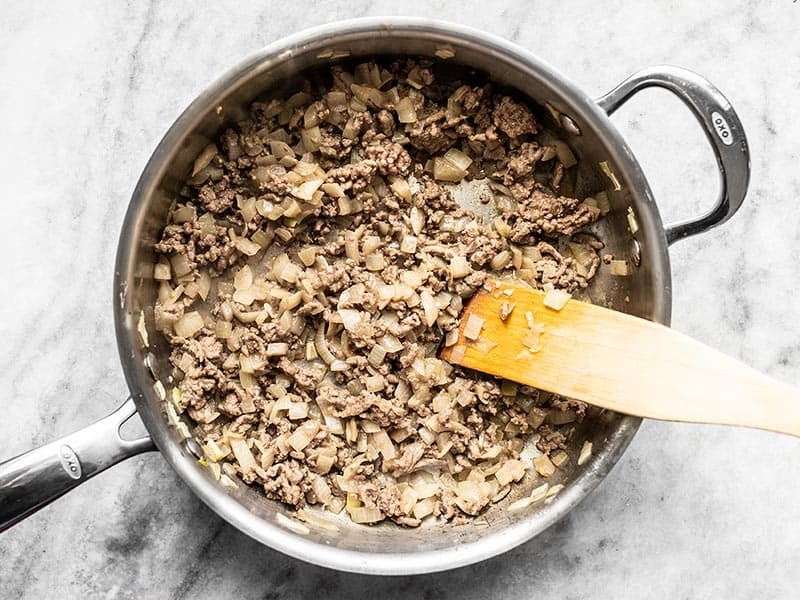 It always has ground beef (or if I have leftover meat from a previous dinner, it goes in) garlic and onion, but I’ve been known to put in whatever vegetables I have lying around. Yellow and green squashes diced small work well(and gets my family to eat them), I’ve put in green beans, lentils, leftover rice, whatever I have. I like to play around with the flavor profile too depending on what’s going in it. I’ve done traditional, barbecue, Tex-mex, and now I’m contemplating Asian. 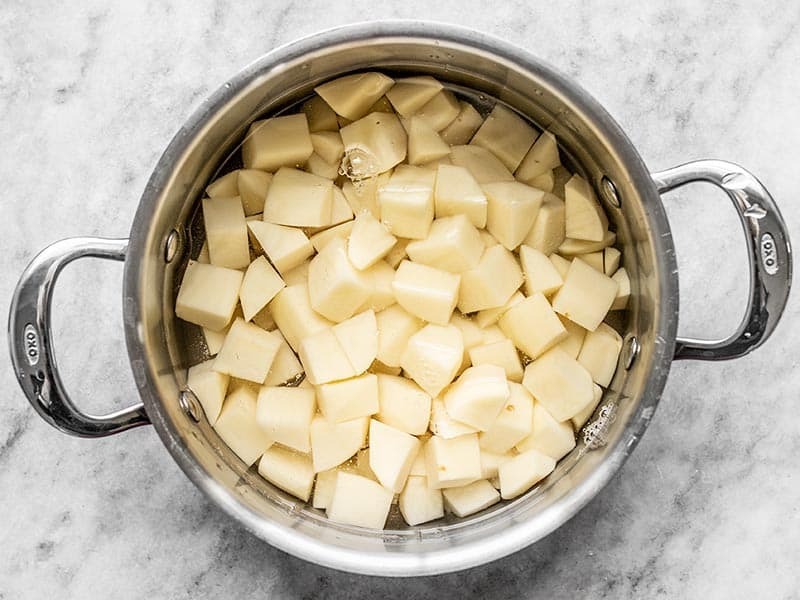 How will that work with potatoes you ask? I don’t know yet- probably not great, or maybe just weird, but it’s all about experimentation. With the asian flavor profile idea, maybe take a look at Japanese-style curry recipes for inspiration (it’s sometimes called Karei Raisu). 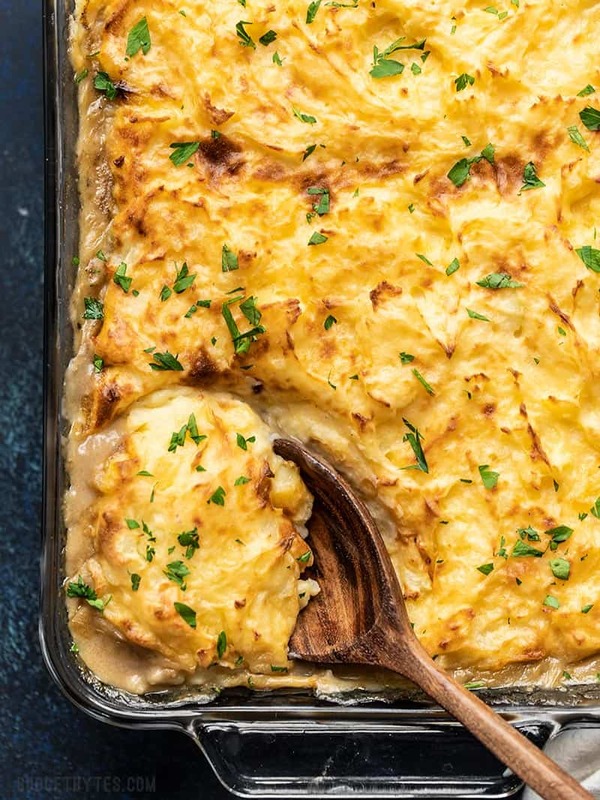 It’s a hearty dish made with potatoes, so it might mesh well with that component. 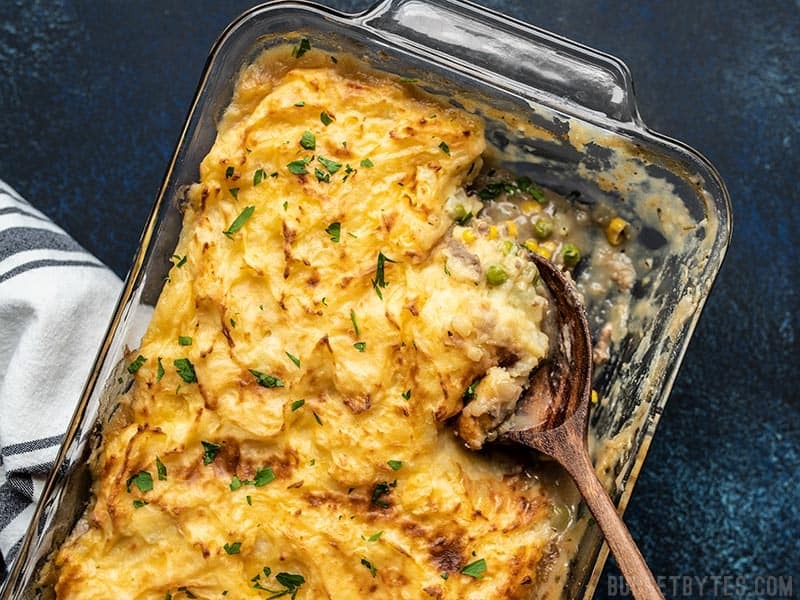 I popped over here for your colcannon recipe, because I wanted to use the colcannon as a topper for a cottage pie, and here is a cottage pie recipe, too. I’m so excited for dinner tonight. Two things struck me as odd about this recipe. 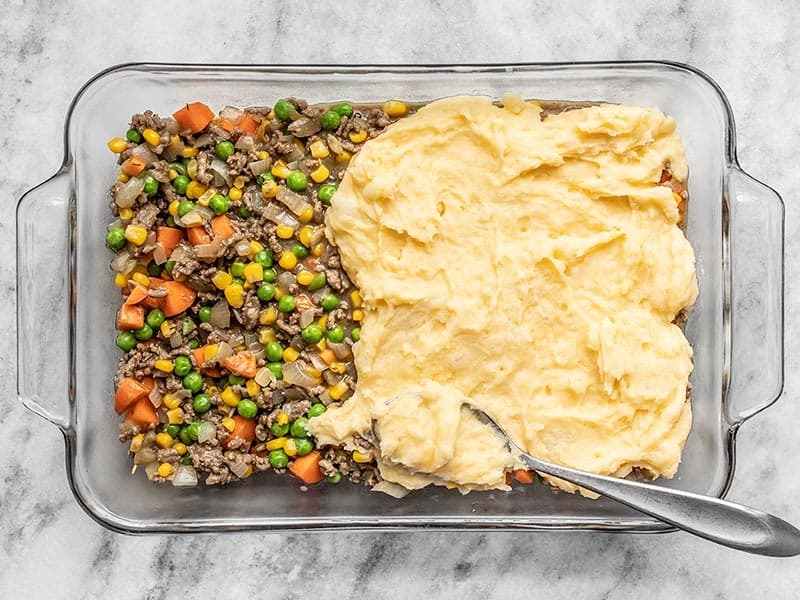 It’s the first time I’ve ever seen only a half a pound of ground beef for a Cottage Pie, as it’s usually 1-2 pounds. I also find it surprising that your ground beef is $5.30 a pound. I buy extra lean ground beef at Costco or Sam’s Club for no more $3.29 a pound. I’d throw in an extra half pound & have a great Cottage Pie! Am I going nuts or is there not a beef broth in the ingredients list? 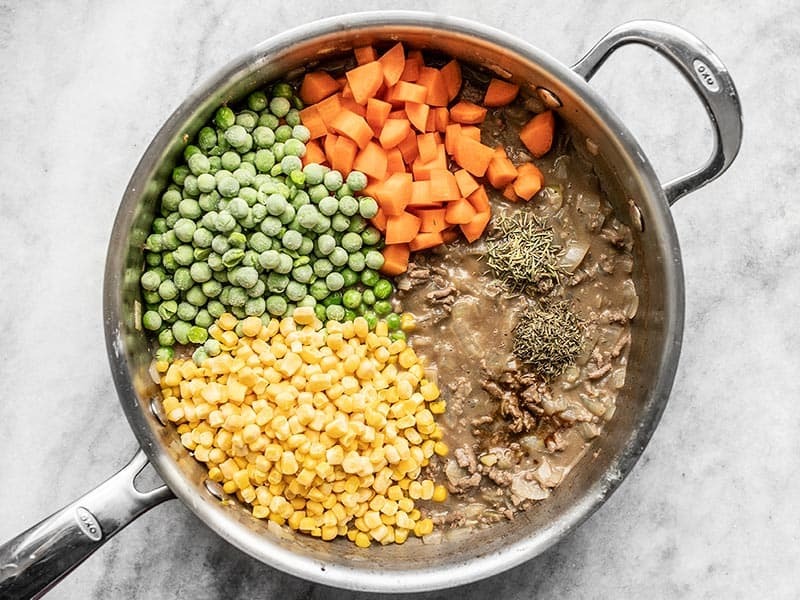 This looks great and I can’t wait to try your lentil and veggie broth substitutions! Sorry, forgot to type it in, but it’s fixed now! The recipe calls for beef broth but it’s not listed in the ingredients. It says 1 cup under the picture – I just want to confirm that it is 1 cup of broth that’s needed. Thank you! 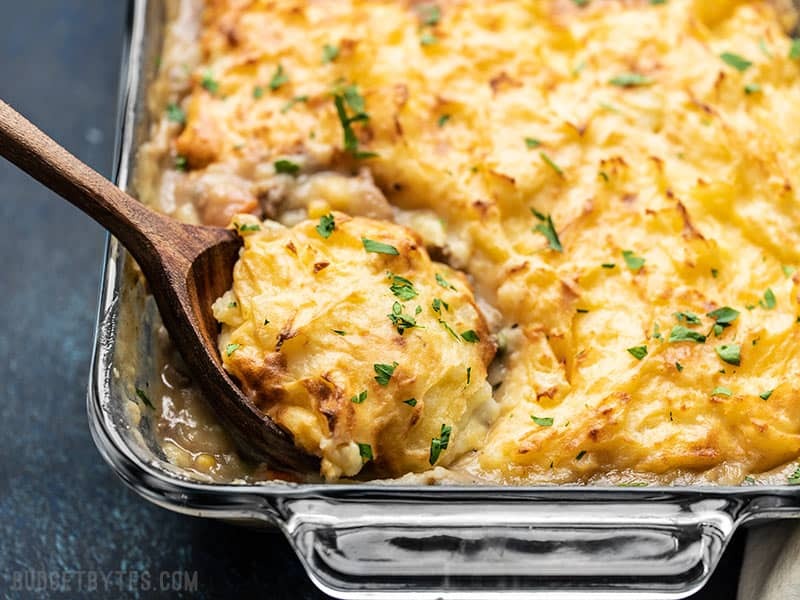 I recently created a very similar recipe except I put the cheese on top. It is a lot of dishes, but it is SO AMAZING! I can’t wait to try this version! What would be a good replacement (if any) for the peas? My fiance doesn’t like peas or beans & I’d like to include another type of vegetable with it. If you want another green vegetable that won’t change the flavor of the dish too much I think some chopped celery would work. 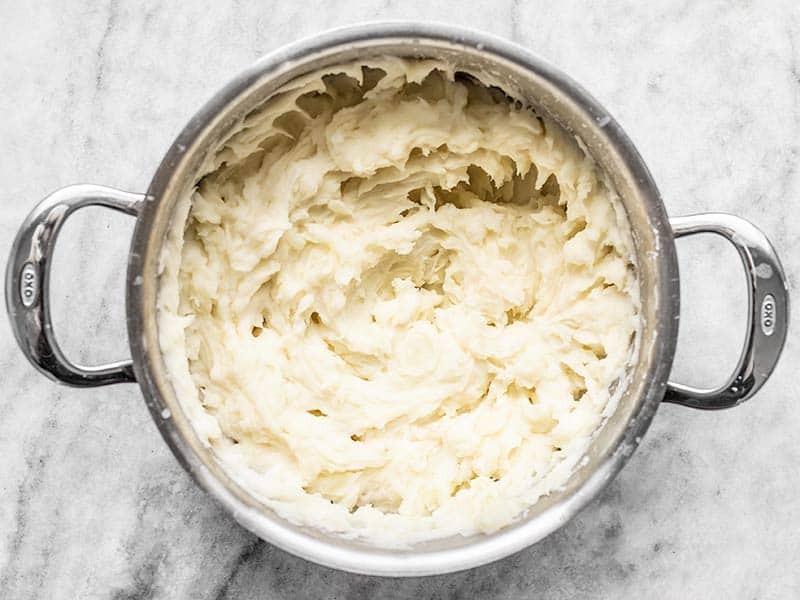 You would probably want to throw it in with the onions so it can cook a little. Can I use canned corn? I can’t get frozen corn where I live.